Look at the graph at this Abu Dhabi Men’s College page which gives information about how electricity in the US was produced in 1970. In 1970, coal production _________________ 46% of US electricity production. Almost a quarter of US electricity in 1970 _________________ using natural gas. Hydro-electric power stations _________________ just over 16% of US power in 1970. 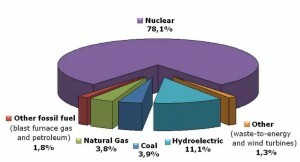 Nuclear power _________________ less than 2% of US electricity supplies in 1970. The main fuel used to generate electricity in 1970 in the US _________________ coal. Almost half of US electricity in 1970 _________________ from coal. About _________________ of US electricity came from oil-fired power stations. 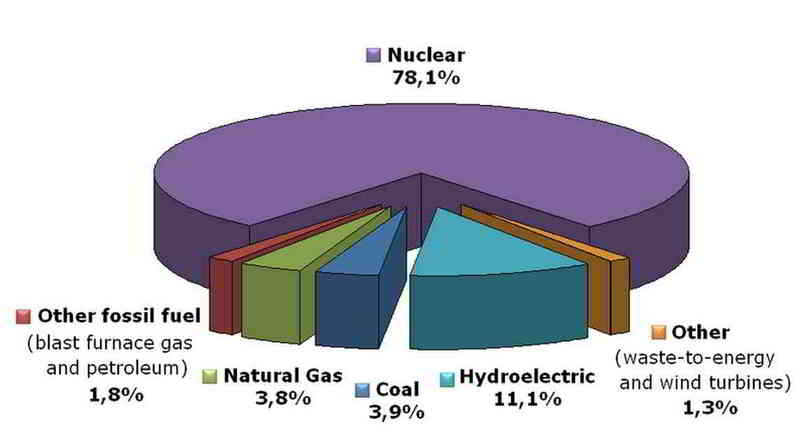 Gas and coal provided _________________ of US electricity in 1970. Nuclear power contributed a tiny _________________ of US electricity in 1970. 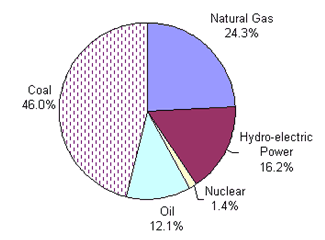 Renewable sources of electricity, such as hydroelectric power, made up _________________ 17% of US electricity in 1970. Gas and oil _________________ just over a third of US electric power. Now go to http://tinyurl.com/6ey880z which gives figures for 2010. Open Excel and type the data Make a pie chart. Compare the two graphs. Write about 150 words. Print one page with the two graphs and your 150 words. 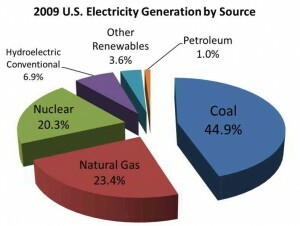 Visit http://en.wikipedia.org/wiki/Electricity_generation and compare the two graphs on how electricity is generated in France and the US in 2009.